Having grown up on the Oregon Coast – and after spending time as a commercial fisherman – Richardson fell into a kitchen job, working the line and getting a rush from the high-pressure environment. 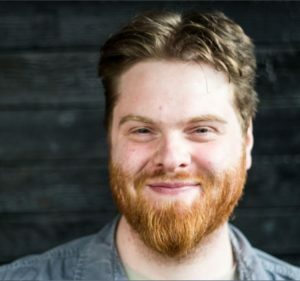 He went on to cook in a number of award winning restaurants including Skillet, Blue Acre Seafood, and Rock Creek Seafood & Spirits before joining the Huxley Wallace team in 2013. With more than 15 years in the industry, Richardson is well versed in all aspects of the restaurant world, from acting as Executive Chef and developing menus, to managing multiple properties and working with vendors. His menus and spaces have received accolades locally and across the country and have been featured in numerous food, travel and lifestyle publications.